Although there is controversy concerning the efficacy of salt in ant control, folk wisdom has it that a line of salt on the ground forms an ant barrier, and a spray made by dissolving salt in water kills the insects. These claims are supported by experience, but salt isn't the only inexpensive, readily available substance you can use for your ant problem -- and it isn't the best. However, in a pinch, a pinch of salt -- along with good cleaning practices -- could eliminate your ant problem. Inland herbivorous ants actually prefer salty food. If you've ever put salt on an open wound, you'll know how ants probably feel when they walk on salty ground. They prefer not to do it, which means that spreading a line of salt along walls, walkways and countertops may be enough to make them turn around and go away. If the ants are hungry and food is scarce, however, they may be willing to endure a bit of pain to get the tasty treats they sense are just beyond the barrier. Making the line wider may discourage even hungry ants. It's worth noting that some ants are actually attracted to salt. A study sponsored by the National Geographic Society and the Amazon Conservation Association found that plant-eating ants that live more than 60 miles from the sea actually prefer salty snacks to sweet ones. This isn't true of carnivorous ants, but it goes to show that salt isn't always a deterrent. When recommending salt as an ant control measure, many home experts suggest mixing up a strong salt solution and spraying it directly on the ants. Salt is a desiccant, and it dries out the exoskeletons of the insects, thereby killing them. The problem with this approach is that you have to use a lot it it, and salt corrodes any surface in the house on which it collects. It tarnishes wall paint, floor finishes and metal fixtures. It isn't great for the lawn or garden either, and might kill sensitive grass and plants. For all that, you'll probably end up killing only some <ahref="https: www.youtube.com="" watch?v="-PlZxVl0U40""> </ahref="https:>of the ants you spray, and the ants you don't spray behind the wall and in the colony itself will be unaffected. The key to effective ant control, according to a pest control expert, is to identify the ants invading your home so you can eliminate them with a species-specific spray, powder or bait. The ants you see could belong to any one of almost 20 species that live in North America. Most are attracted to sweets, but some, like fire, pharaoh, pyramid and thief ants, prefer oily foods and fats. Knowing the ants' feeding behavior helps you devise strategies for attracting them so you can bait them or kill them en masse with an insecticide. The internet has many resources and catalogues to help you identify ants. For example, you can find a useful identification guide at FMC Professional Solutions. Beside a catalogue, the only other things you need to make a positive identification are a living specimen and a magnifying glass. 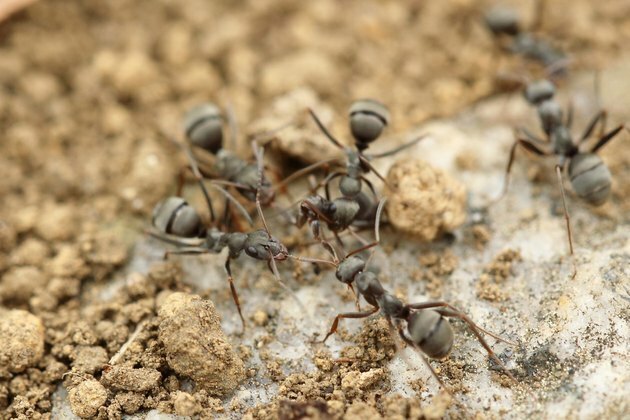 If you want to create a line in the sand the ants won't cross, you don't need salt -- you can make an effective one using garden-grade diatomaceous earth. This white powder, composed of granulated seashells, is harmless to pets, children and plants, but it lacerates the exoskeletons of ants that walk on it, and it kills them. Ants avoid DE even more than they avoid salt. If sugar-loving ants have frustrated you to the point of a vendetta, get your revenge by mixing powdered sugar (not granulated, which is too coarse for them to eat) and baking soda in a 1-to-1 ratio; spread it in lines around trails or swarms. If the ants take the bait, the baking soda will create gas inside their bodies that they can't eliminate. If ants can feel pain, they will die painfully. 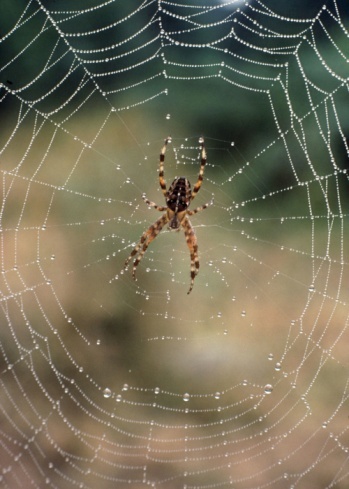 Ant control experts like Randy Pryor recommend baiting as the most effective long-term strategy for ant control. The lethal ingredient in many ant baits is boric acid, which has low toxicity for humans and pets. It must be mixed in a sugary or oily paste or liquid -- depending on the ants -- in a 5 percent or lower concentration to work properly. At that concentration, ants stay alive long enough to feed the bait to the colony and kill it. You can buy boric acid baits premixed, or you can make your own with store-bought boric acid. For short term relief, use orange oil insect spray. This product contains d-Limonene, or orange peel extract, which suffocates the ants on contact. Moreover, the citrus odor acts as a repellent, keeping the ants away for several days. Orange oil is safe to use around food, pets and children.